The Pripyat River is the largest tributary of the Dnieper River. The length of the river is 775 kilometers. 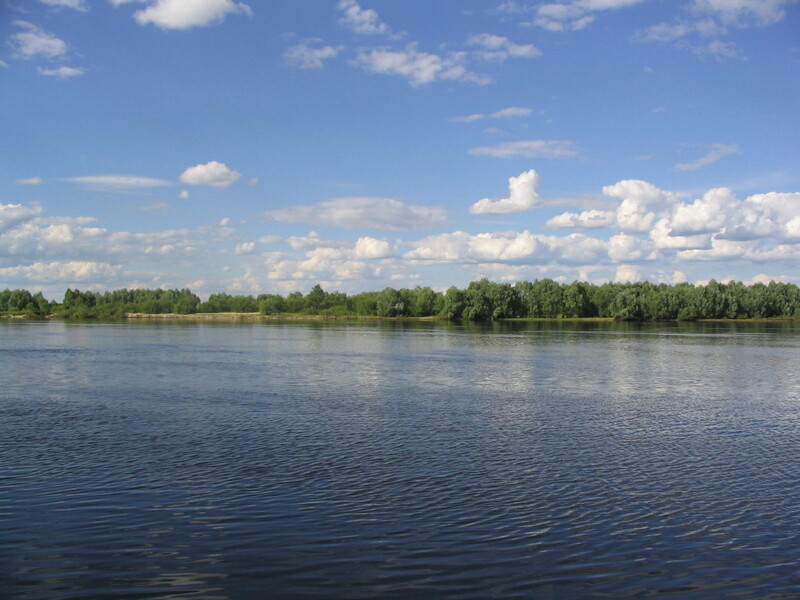 The basin area is 114,3 thousand km ². 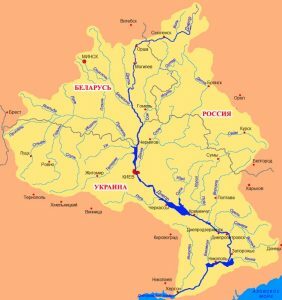 The width of the river in the upper stream is up to 40 m, on the average – 50-70 m, in the lower reaches 100 – mainly 250 m, with the confluence of the Kiev reservoir – 4-5 km. The bottom is sandy and sandy-silty. The slope of the river is 0.08 m / km. The main tributaries flowing into the river within the Republic of Belarus: the right – the Goryn River (length – 659 km), the Ubort River (length – 292 km), the Slovenechna River (length – 158 km), the Stviga River (length – 178 km); on the left – the river Yaselda (length – 214 km), the river Tsna (length – 120 km), the river Lan (length – 153 km), the river Sluch (length – 197 km), the river Ptich (length – 421 km). 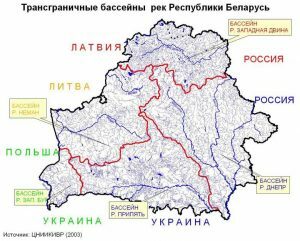 On the territory of the Republic of Belarus on the river Pripyat there are settlements Turov, Zhitkovichi, Petrikov, Mozyr and Narovlya. 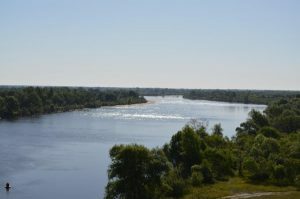 Pripyat is connected by the Dnieper-Bug Canal with the Mukhovets River (tributary of the Western Bug), and the Dnieper-Neman River, not currently operating, across the Shchara River – with the Neman. 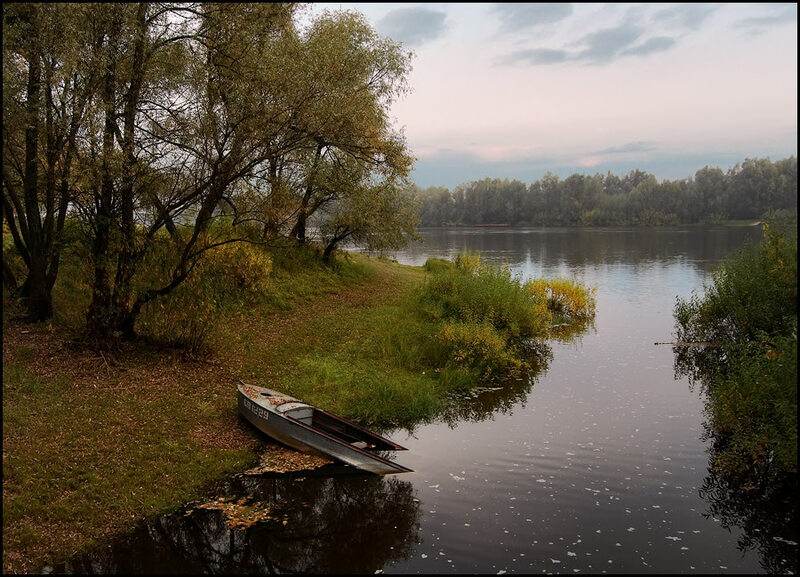 The valley of Pripyat in the upper reaches is poorly marked, in the lower reaches it is clearer. The floodplain is developed throughout the entire length, two terraces above the floodplain are distinguished. The width of the floodplain in the upper reaches of 2-4 km and more, in some years is flooded for several months. 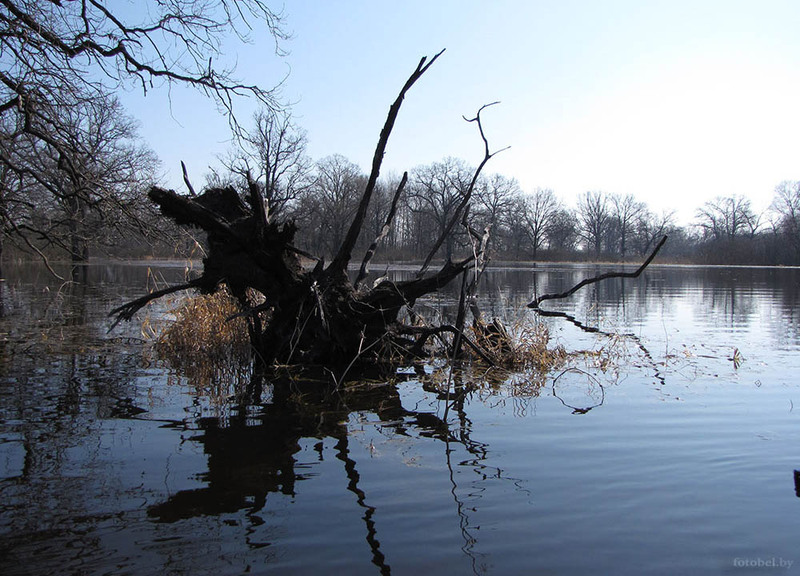 In the lower reaches of the floodplain reaches 10-15 km. 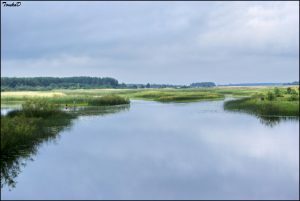 The channel in the upper reaches is channeled; lower – sinuous, forms meanders, old men, many ducts; there are sandy islands. 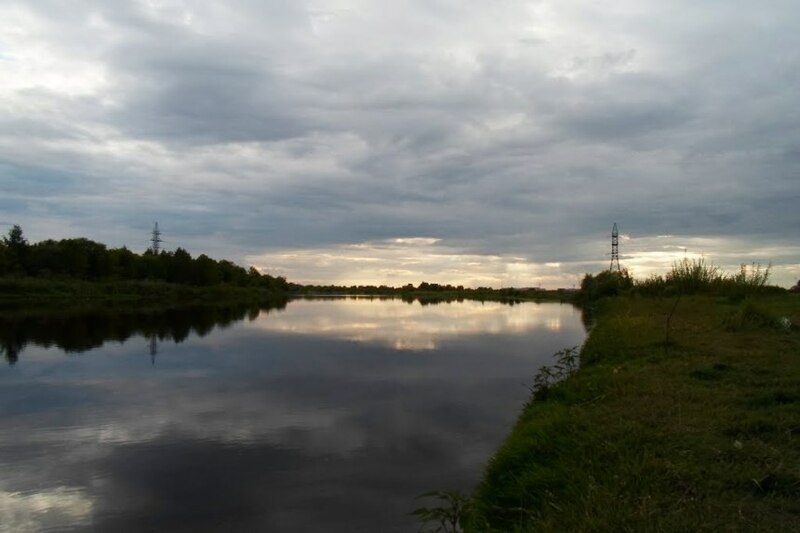 The food of the river is mixed, with a predominance of snow. For the water regime is characterized by a long spring flood: from the first decade of March, the maximum in mid-April, the decline is delayed by 3-3.5 months. 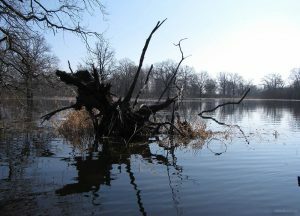 The summer intermittent low-water level is interrupted by rain floods and almost an annual autumn rise in the water level. 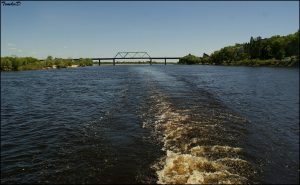 In the spring, 60-65% of the annual runoff, which is 14.5 km³, occurs, the water rises in the upper stream to 2 m, on average – up to 3.5 m, in the lower – up to 5-7 m; is accompanied by extensive spills. 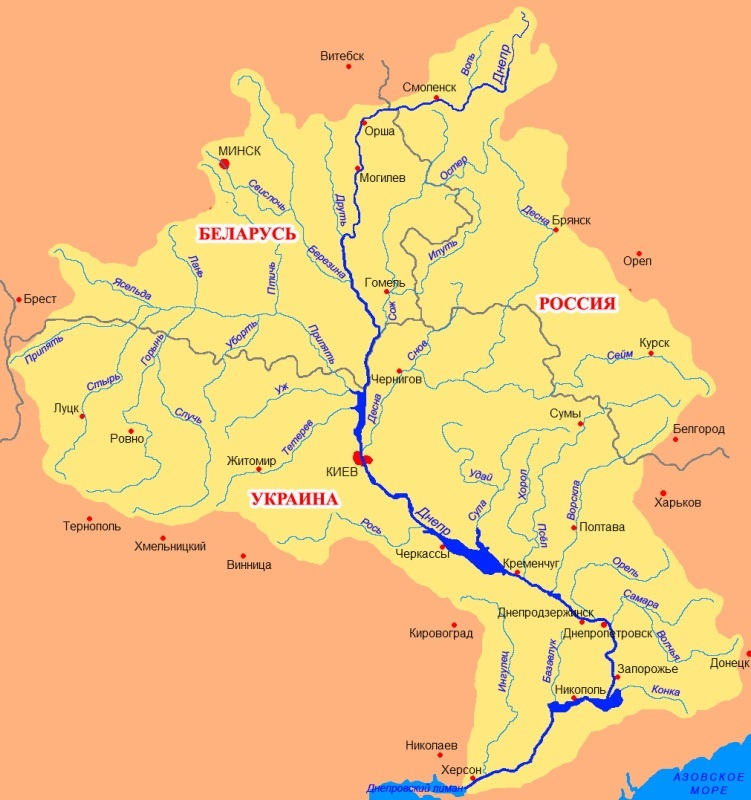 The average water discharge at Mozyr is 370 m³ / s, in the estuary – 460 m³ / s (maximum about 6000 m³ / s). 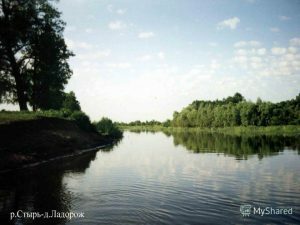 Pripyat freezes in the middle of December, it is opened at the end of March. The color of water is determined by the predominance of peat-bog soils in the river basin. 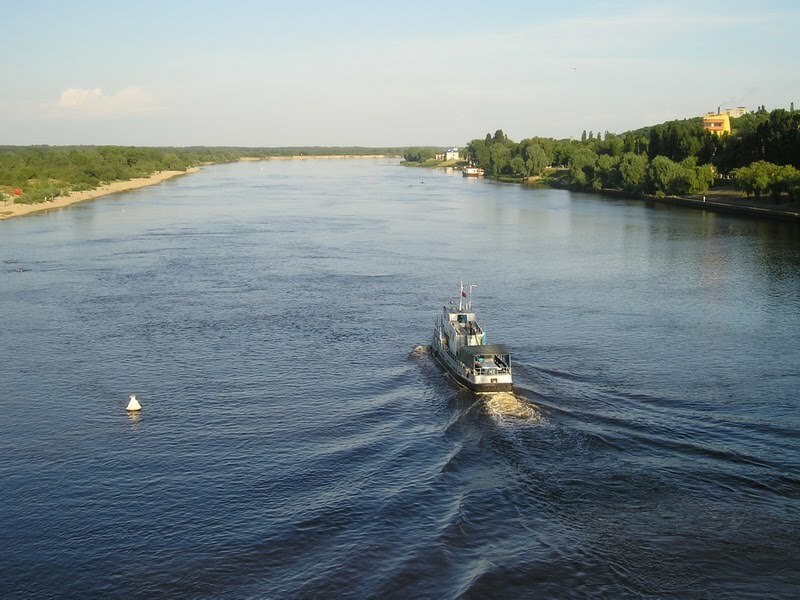 On the Pripyat River there is a branch of the Belarusian River Shipping Company, the river port of Mozyr. 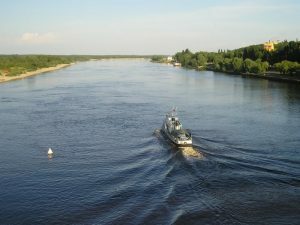 At the 405th kilometer of the Pripyat River, the Sitniki (Mikashevichi) canal, 7 km long, is leading to the river port of the Belarusian River Shipping Company, the river port of Mikashevichi.